CMS Cepcor™ is widely accepted as the aftermarket specialist for the support of the Terex® TC range of cone crushers. CMS Cepcor™ stocks the full range of manganese liner cavities including medium coarse, coarse, extra coarse & autosand. Crusher wear parts are available from the CMS Cepcor™ premium range in M18 and M21. 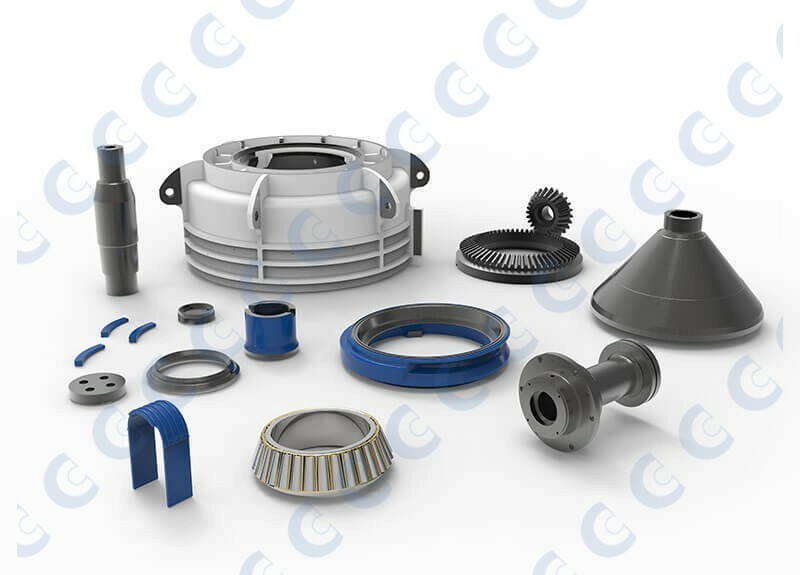 In addition to the supply of quality aftermarket crusher wear parts, CMS Cepcor™ also supplies a wide range of crusher Spare parts to suit the TC crushers. All CMS Cepcor™ compatible parts to suit TC crushers are manufactured and warranted by CMS Cepcor™. CMS Cepcor™ also holds in stock genuine crusher parts reconditioned to factory tolerance for service exchange, offering genuine cost savings over new parts.